This rugged display case is ideal for archival quality collections such as in museums, libraries, historical societies or any organization that needs a secure way to present valuable objects. The fine craftsmanship will most certainly be appreciated. Locking hinged door provides access to three adjustable glass shelves. Interior back of display available in choice of mirrored backing for 360 degree perspective of objects against wall or clear glass for open room placement. Aluminum frames in choice of Satin natural, Champagne or Dark bronze. 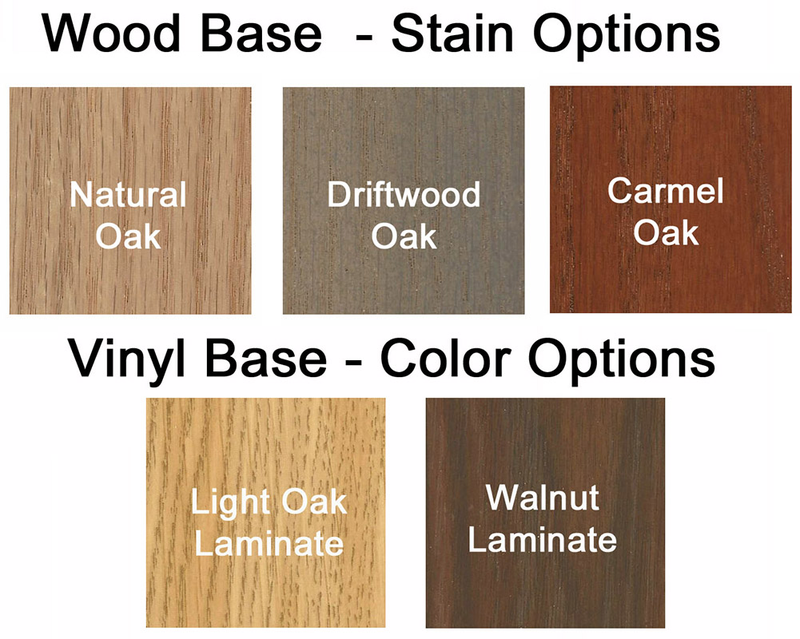 Wood trim base available in genuine oak or vinyl laminate for added durability. Measures 24"W x 24"D x 72"H overall. Shipping weight 201 lbs. PRICE INCLUDES SHIPPING! (Truck shipment - see Terms & Conditions). Please allow 3-4 weeks for delivery.